There’s really no place on earth better suited to host a memorable and unusual Routes Europe event. 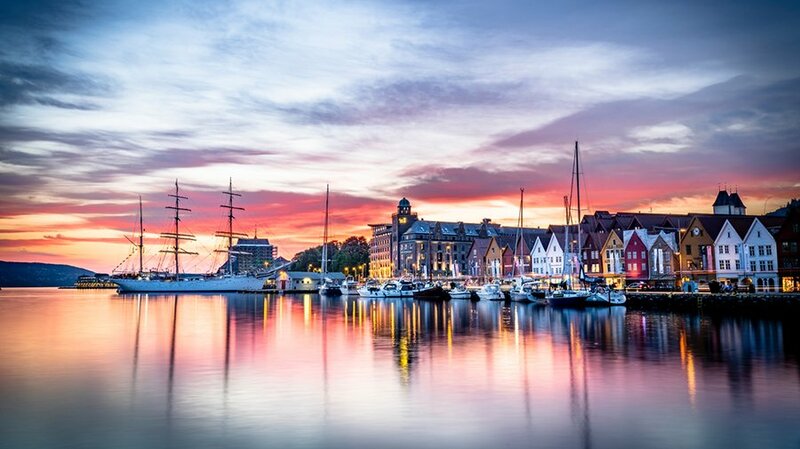 Located at the heart of Norway’s breath-taking fjord region, Bergen is a treasure trove of UNESCO World Heritage sites and adventures. Bergen’s UNESCO World Heritage-listed old quay. 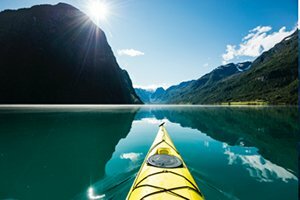 Rent a kayak in Olden lake! White-capped mountains, lush green hillsides, blooming fruit orchards, glacier-fed waterfalls thundering into the fjords, Viking-age wood churches and one of the world’s best Wi-Fi services. This breath-taking playground will be a seriously instagramable experience. 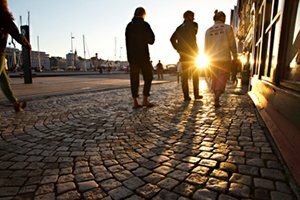 Even the historic quay in downtown Bergen is a UNESCO World Heritage site, and a mere 10- minute stroll from the main venue at the Grieg Hall. And yes, Bergen is the home town of world-famous composer Edvard Grieg. You will even be given the opportunity to enjoy a special piano concert in the living room of his historic wood villa, Troldhaugen. By hosting Routes Europe, Avinor has been given the opportunity to demonstrate, on a large scale, Scandinavia’s distinctive work-play approach to life. 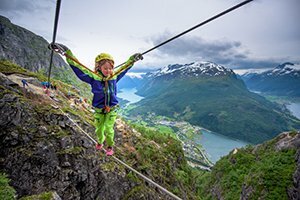 We promise anyone who has even just a flicker of curiosity, a most interesting experience while exploring Bergen and Norway’s regional markets. Walking comes natural in Bergen. Although it is Norway’s second largest city, Bergen is by no means a metropolis by European standards. As a result, the Routes conference hotels and main venue are so close that walking is more appealing than any other way of transport. Using one’s feet is also a central part of the “being Norwegian” cultural experience. The most important word in the Norwegian language consists of only three letters, but in return it glows with warmth, kindness, caring, togetherness, and laughter. 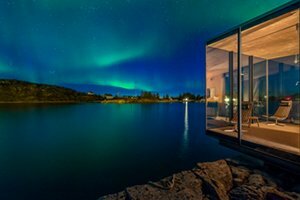 Say “kos”, and Norwegians expect everything from a cosy gathering around a candlelit kitchen table, to holding hands under the northern lights. We guarantee all participants a networking-friendly “kos” environment. Via Ferrata Loen is a memory for life! To most, Friday the 1 May is a holiday. 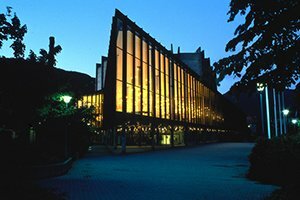 The conference ends on Wednesday the 29th of April, leaving plenty of room to xplore Norway’s distinctly different regions. Avinor’s nationwide network of airports offers boundless possibilities, ranging from the Arctic Archipelago Svalbard to mainland strongholds Bodø, Ålesund, Trondheim, Bergen, Stavanger, Kristiansand and Oslo. A bucket-list collection of trips, from the adventurous to the family-friendly, will be on offer. Norway’s foodie nation credentials are growing by the minute. 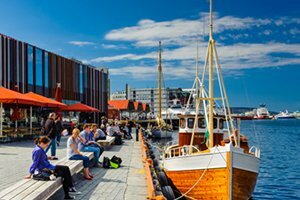 Nearby city of Stavanger holds the privilege of hosting Scandinavia’s largest food festival, and Trondheim’s festival attracts over 150,000 food enthusiasts. 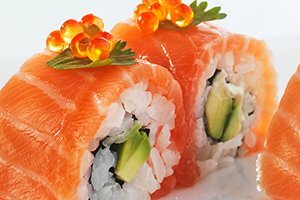 As the world’s secondlargest seafood exporter, we feel obliged to serve up the very best treasures from our arctic waters. Fresh cold-pressed apple juice from the orchards of Hardanger, Polar beer from the world’s northernmost brewery at Svalbard, World Cheese Award gold, silber and bronze medal winners and other delicacies, will be on the menu. A record-breaking event is in the making! As a nation proud of our great polar explorers, it is our heartfelt wish that our guest become explorers themselves and discover some of Norway’s many treasures. In close cooperation with the Routes organization, the city of Bergen, partners and stakeholders we’ll do our best to make Routes Europe in 2020 the event that all others will need to measure up against.